EBCDA’s suicide prevention work aims to raise awareness of support services and encourage those at risk to seek help, to represent the needs of the community in East Belfast at a strategic level and to lead a community response when there is a death by suicide in our area. EBCDA is active in raising awareness of suicide prevention through a number of means. 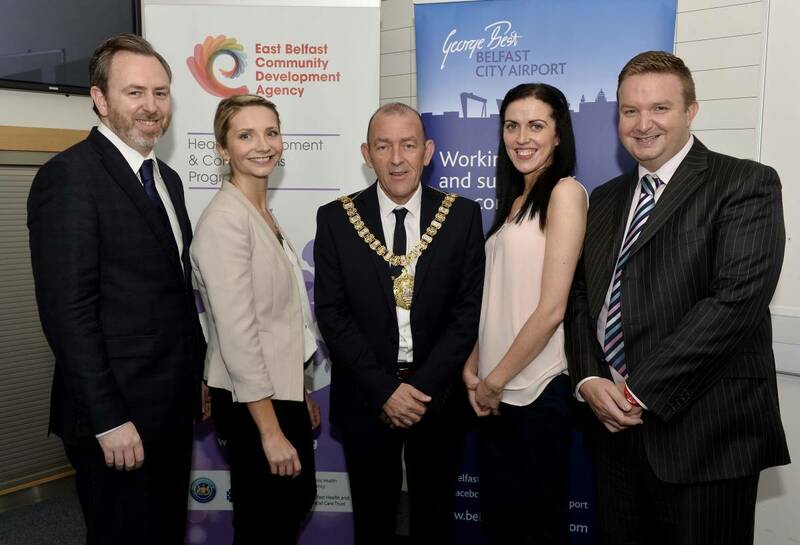 Local sources of support for East Belfast. Download a list of services here. 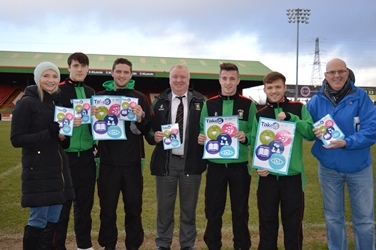 Information on suicide prevention and mental health promotion training is also available from EBCDA. We regularly send information on training opportunities and other events to our Suicide Prevention email list, to sign up to receive these please contact jean@ebcda.org. 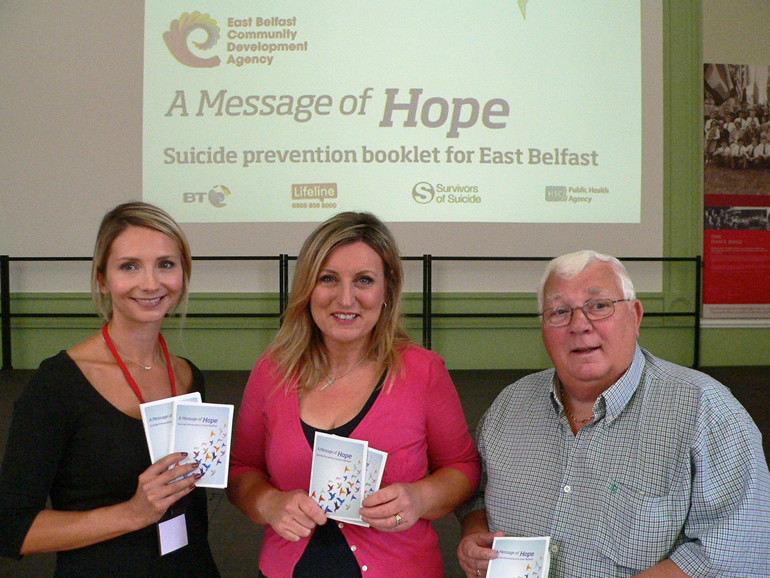 In August 2013 EBCDA launched the “Message of Hope” suicide awareness booklet which was distributed to homes across each Belfast. The booklet provides information on how we can all play a role in suicide prevention in our community and lists contact details for crisis services, counselling organisations and other relevant support providers including bereavement support. To date almost 50,000 copies of the booklet have been distributed across East Belfast. The latest version of the Message of Hope booklet is available to download here. EBCDA represents the views and needs of East Belfast relating to mental health and suicide on a number of bodies, both locally and regionally including: the Belfast Mental Health Rights Group, South & East Belfast Mental Health Community of Interest, the Belfast Protect Life Implementation Body (BPLIG), and the Northern Ireland Suicide Prevention Strategy Implementation Body (SSIB). The East Belfast Community Response Plan (CRP) has been developed by several organisations and individuals with an interest in suicide prevention in East Belfast. It puts in place a plan to support people and communities following a suspected suicide. Whenever a suicide takes place it is important that individuals and communities are offered support. This can reduce the likelihood of further suicides taking place and also encourages people to seek help if they are finding it hard to cope. The CRP aims to deliver coordinated and effective support in response to each suspected suicide. Every response is different as it takes into account the particular circumstances of the death and those who have been impacted. Crisis Response Coordinator: Currently East Belfast Community Development Agency are responsible for coordinating the plan. Steering Group: The steering group for the East Belfast CRP is made up of local community representatives for each neighbourhood in east Belfast along with service providers who operate in East Belfast. These include counselling services, SOS bereaved family support group, PSNI and telephone help lines. The Steering Group meets whenever there is a suicide to plan and deliver the response. Stakeholder Group: A wider group of individuals and organisations in East Belfast who have an interest in suicide prevention but would usually not be involved in delivering a response unless they are directly affected by a suicide (schools, community groups, MLAs, GPs, youth providers, etc). The stakeholder group will be kept updated on the plan by email and at public update meetings. Click here to see a diagram showing how the Community Response Plan works. For more information on any of the above suicide prevention work in East Belfast please contact Clare Flynn, Suicide Prevention Development Officer at EBCDA on 028 9045 1512 or clare@ebcda.org.